When it comes to purchasing a tablet, you want to consider buying a tablet with a USB port. This allows you to project your tablet’s screen onto your HDTV so you get a larger screen and you can stream your favorite shows and music quickly and easily. A USB port will also allow you to plug in a keyboard when you want more of a PC experience without losing the flexibility of having a tablet. 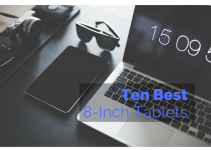 If you’re considering buying a tablet with a full-sized USB port, we invite you to look at our list of the top ten tablet reviews. You can connect to your HDTV, plug in a keyboard, connect your pen drive, game controller, mouse, or hard drive to enhance your experience. 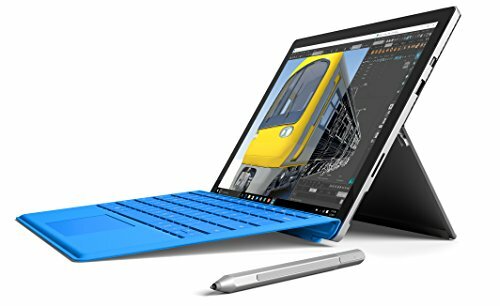 The Microsoft Surface Pro 4 comes in three different options with various options so you can customize it to suit your needs. The screen is 12.3-inches, and it includes an anti-glare film so you can work out in the light without difficulty. The touchscreen has a PixelSense display with a sharp 2736 by 1824 screen resolution for clear, vivid images and colors. A microSD slot allows you to upgrade your tablet’s memory capacity quickly, and the stylus pen is very responsive to the lightest touches. You get 16GB of memory and a 512GB hard drive all wrapped into on slim, lightweight, and compact tablet. You also can switch from a tablet to a laptop by snapping on the keyboard and the multi-position Kickstand for added versatility. This tablet weighs in at just 1.73 pounds, and this allows you to pick it up and take it anywhere quickly and easily. The tablet features a lightweight but powerful design. You can choose from three different options to customize your tablet to your needs. It might have issues with freezing and needing a hard reboot. You may have trouble waking the screen up from sleep mode. 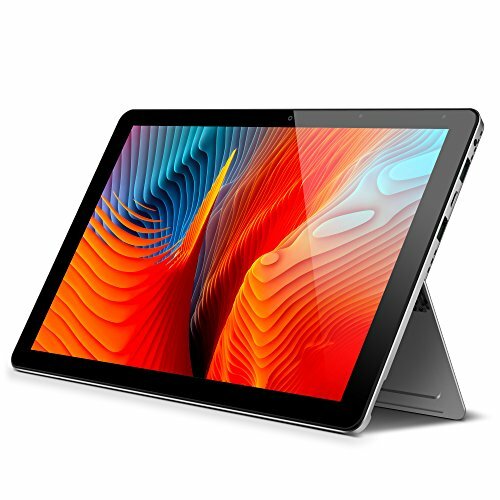 This tablet is designed to give users a theater-like experience with a vivid 8-inch HD display and a powerful built-in dual sound system with front-facing speakers. You get the choice of two different screen sizes and two different connection options including Cellular LTE. It can also turn into a kid-friendly tablet with the Lenovo Kid’s Pack that gives the tablet a blue-screen filter, stickers, and a shock-resistant bumper for added durability. 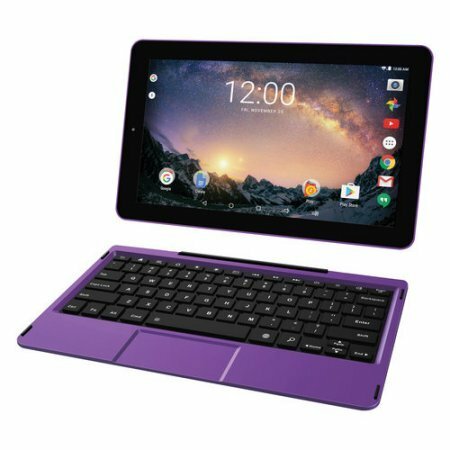 It also packs a multi-account feature into this smaller tablet with multi-space and multi-user functionality for up to seven different users. It is a fast 64-bit Quad-core Snapdragon processor for superior performance capabilities, and you get up to 20 hours of battery life on a single charge. 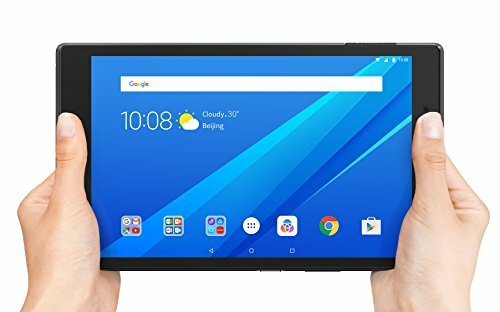 You use wireless or Bluetooth to connect, and you get 16GB of memory on this tablet. It weighs in at under two pounds, and this lightweight design makes it very easy to grab it and go. Up to eight people can customize a user space on one tablet. You can turn this tablet into a great kid’s tablet quickly and easily. The microSD card has problems with corrupting the tablet. The limited RAM can make the tablet run slower with certain apps. 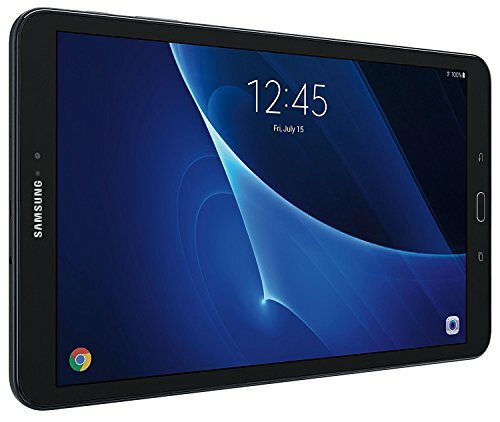 Samsung’s Galaxy Tablet runs on an iOS system and it features a brilliant 10.1-inch high-resolution screen with a very good speaker system that is perfect for streaming your favorite shows or music. You also get a long battery life out of a single charge, and charging is quick and effortless. The Android 6.0 Marshmallow pack features the tablet, a bonus microSD card to expand memory, cable, and a travel adapter. The bonus microSD card expands this tablet’s memory capabilities from 16GB up to 200 additional GBs quickly and easily for a faster performance. This tablet also runs on a speedy 1.6 GHz Exynos 7870 octa-core Processor and it has 2GB of RAM with 16GB of ROM. You’ll also enjoy a rear-facing camera that is capable of taking clear, sharp pictures. The tablet connects various ways including Wi-Fi, micro USB, USB, and Bluetooth. You get several ways to connect to the internet. The 10.1-inch screen features a very high resolution for clear images. When using the tablet in landscapge mode, the screen may dim need the top and bottom. It comes with several apps installed that you can’t remove. You get the choice of a full HD screen or a HD screen with Fusion5’s Android Tablet PC. This brings you bold colors and sharp images while you surf or stream your music and shows. You get a 2MP front-facing camera and a 5MP rear-facing camera that allows you to take clear photos and videos. This tablet is good for a multitude of uses, and it comes with 2GB RAM for a lot of storage space. 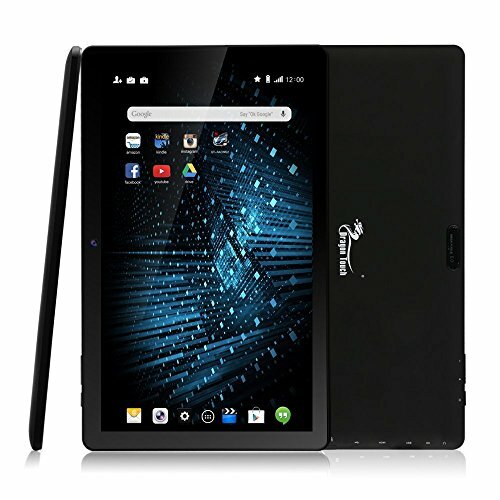 The tablet comes with a powerful Octa-Core main processor, and the Octa-Core graphic processor makes this one of the most powerful Android tablets currently available. You can also add more memory via a microSD card, but it isn’t included. This tablet comes with a 12-month warranty against failure or damage. You can connect your device by using Bluetooth or Wi-Fi as well. You can choose from a Full HD screen or an HD screen. The tablet comes with a 2MP and 5MP camera for clear photos and videos. The tablet may lag if you try to multitask. The tablet may have problems maintaining a steady connection. This tablet comes with a versatile 10 point touch Full HD screen for intense colors and sharp images. It also has a 125 degree kickstand that makes this tablet easy to use hands-free while you travel. You get cameras that are capable of traditional photographs and a face-to-face chat 2.0MP rear-facing camera as well. You also get two USB hubs that can easily connect to game controllers, wireless keyboards, USB cords, and more. 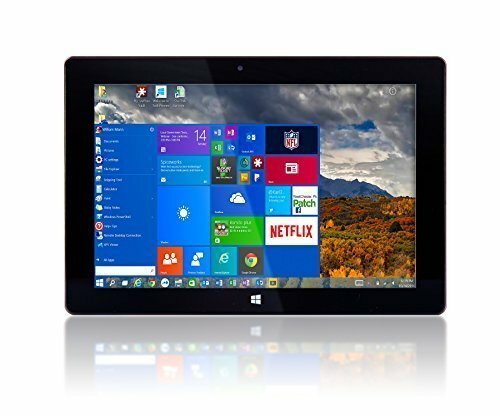 This tablet runs on Windows 10 Efficient and Productive for a powerful and fast user experience. It has the Intel Celeron N3450 Quad Core 1.1GHz, up to 2.2GHz, and this is new for the revamped design. You get 4GB RAM for an improved performance with multitasking capabilities that gives you enough room to store pictures, videos, music, and much more. The tablet comes with a hands-free 125 degree adjustable Kickstand. The tablet fully charges in just under six hours. This tablet may have issues with freezing. It only comes in one color option. Dragon Touch’s tablet comes with a 10-inch large brilliant display that features SmartColor Technology. You also get a 178 degree screen angle that makes it easy to share the screen with family and friends. The 10-point multi-touch technology makes for a fast and easy user experience. The pre-installed Google Play gives you access to dozens of apps including Facebook, Twitter, Instagram, Netflix, and more. You’ll enjoy the ultra fast and dependable Octa-Core CPU — 8X Cortex A7 that runs up to 2.0 GHz and an Octa-Core high-speed PowerVR SGX544 GPU. The revamped Wi-Fi module allows for faster connection times and a faster user experience whether you’re browsing, streaming, or listening to music. It also features a mini HDMI port so you can easily sync your tablet to your HDTV. The rear-facing camera is 5MP for clear photos, and the front-facing camera has 2MP. You get a large 10 point multi-touch screen. The tablet comes with 178 degree tilt capabilities. The tablet may lag with multiple functions going at one time. This tablet is also slightly larger and heavier. You’ll get an ultra-slim and lightweight design with this tablet and it has all of the latest user-friendly Windows 10 features pre-loaded. You get a lot of storage space with 2GB RAM and 32GB of storage space for all of your apps, movies, and pictures. The screen itself is a 10-inch display that brings bright colors for an optimal viewer experience. You can play games, listen to your favorite music on YouTube, or stream your favorite media. This tablet comes with a full-sized USB port for easy connectivity, and it has built-in Bluetooth. 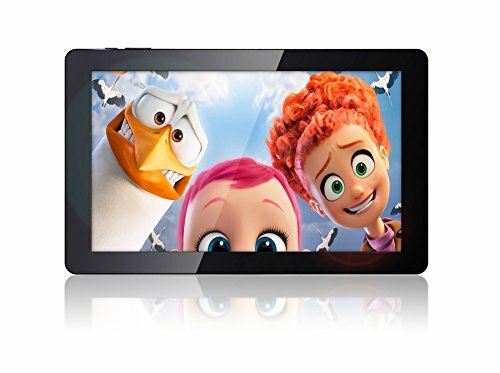 You can connect to your HDTV quickly and easily through the HDMI port, and the user controls are situated in a raised format alongside the tablet for easy reach. This tablet weighs in at 1.5 pounds, and this makes it easy to pick it up and take it with you wherever you go. The tablet comes with the user-friendly Windows 10 package. You can easily connect to your HDTV through the port. The power button may present issues. You may have difficult setting it up out of the box. NuVision’s smaller tablet features a sleek 8-inch screen with Full HD resolution for bold colors and vivid images. It comes with 10 finger multi-touch support, and you get dual cameras. The front-facing camera has 2MP and the rear-facing camera comes with 5MP. The battery lasts up to six hours on a single charge, and it comes pre-loaded with Windows 10 software. This compact tablet packs a powerful Intel Atom Z3735F Quad-Core Processor for a quick response time and a fast user experience. You get a slim and sleek stylus pen for an added convenience that is very easy to use and manipulate. It comes with 2GB of internal memory and 32GB eMMC SSD storage. 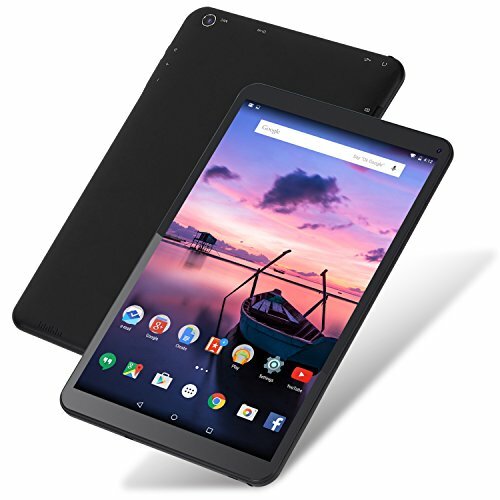 The tablet features a microSD slot, a headphone, and microphone combination port, a microSD cord for charging, and it has Bluetooth capabilities. The tablet has a sleek and lighweight design. You get a stylus to help you navigate around. The tablet’s memory can fill quickly. The battery may not last as long as other tablets. This tablet PC allows you to quickly and easily surf the web, read your email, play games, listen to music, read eBooks, and much more. You get the tablet, and AC adapter, removable keyboard, and a battery with this particular package. The tablet runs on the fast Android 5.0 OS (Lollipop) and it supports a variety of popular media formats. You get up to six hours of run time on a single charge, and the front-facing camera features 2MP while the rear-facing camera has 1MP. You’ll enjoy a webcam port, a USB port, mini HDMI port, microphone and headphone jack, and 32GB of memory. You’re also able to expand the memory with a microSD card. This tablet weighs 1.15 pounds, and this makes it easy to take it with you or move it around as you need to. You get a tablet an a mini PC with a removable keyboard. The tablet supports several popular media formats. This tablet tends to lag or run slower. The sound quality isn’t the best. This tablet comes with the Android 6.0 Marshmallow operating system that is matched by the solid MTK 64-bit Quad Core CPU. This combination creates a stable and functional system for this table to run off. The ISP display features an HD picture that shows an excellent amount of detail and colors. You also get a front and back camera that lets you take videos, pictures, or video chat. The pre-installed Google Play store allows users to quickly and easily install several fun and functional apps and games. The micro HDMI Type D cable allows you to connect to your HDMI television easily. It also has a large connectivity range that extends up to 300 feet for a fast and stable connection. You will enjoy a very fast charging system that gives you up to eight hours of battery life per charge. The tablet comes with a stable and functional operating system. The 10.1-inch screen features HD resolution. The tablet may turn itself on or off. The system may not update as quickly as it should. 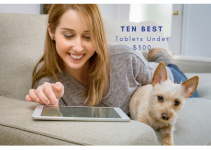 All of these tablets allow you the flexibility to have the portability of a tablet with the convenience of PC functions like a keyboard or a game controller with a simple USB plugin. You’re able to get so much more out of them than you would a traditional tablet without this USB port. It is important that you look at the different options because certain ones will be able to suit your needs better than others. Looking for another format of tablet? Have another size or function mind? 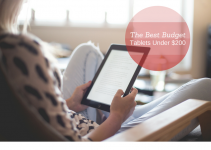 Check out our carefully curated lists of tablets in all different sizes, budgets and uses.